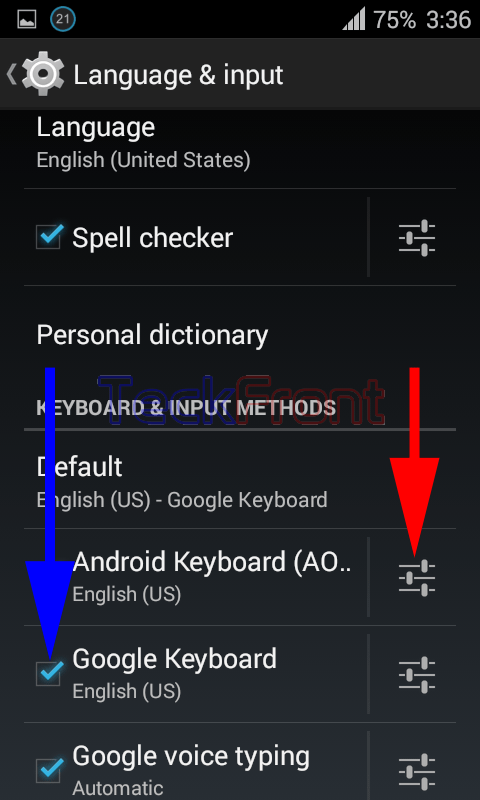 How to Choose System Language for Google Keyboard for Android 4.4.x KitKat? When you are using Google Keyboard as input method, you may be asked to choose between different languages for use in keyboard. This selection of the language is important for the phone users as it would be used, mainly, for the correction of spelling or suggestion of the suitable words. You may be using English (US) English (UK) but the system language may be the best option for many non-English users who cannot differenciate between American or British English. But, remember the System Language is closely related to English (US). 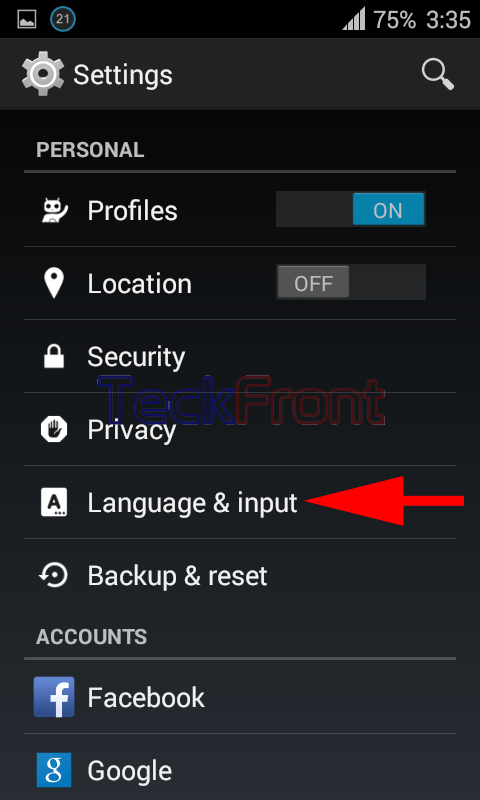 Note: To select the system language as your default language, make it certain that the Android Keyboard is installed in your Android 4.4.x KitKat device and is checked. 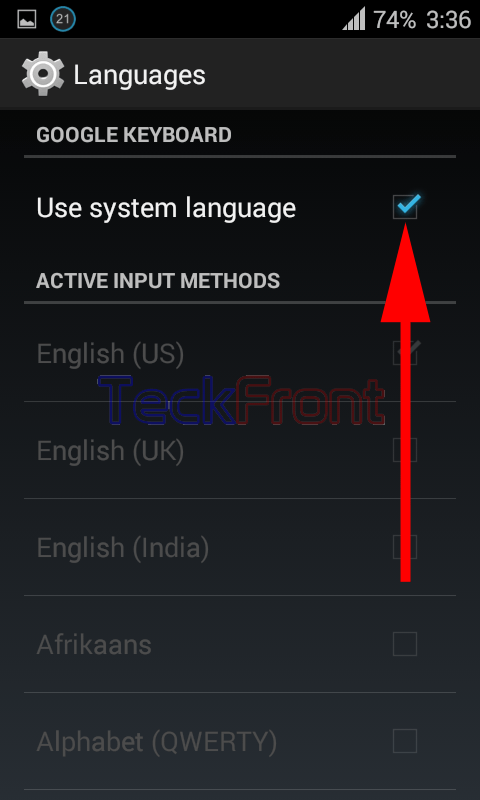 If you want to select the System Language for the Android 4.4.x KitKat device, follow the instructions. 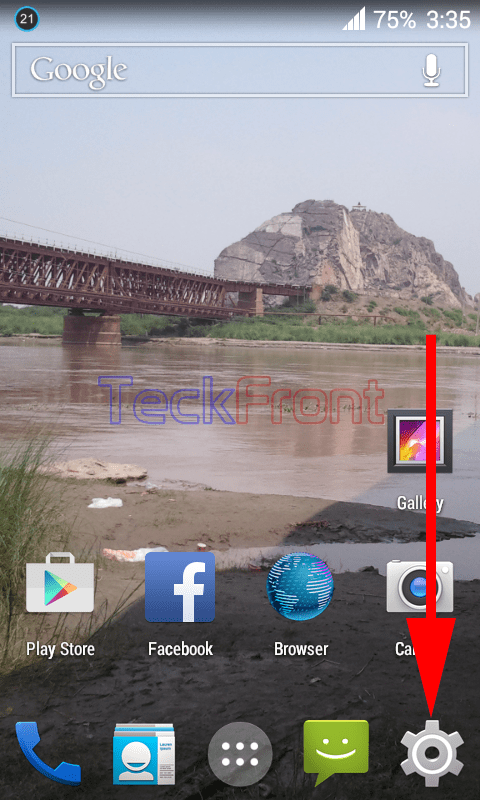 1: Tap ‘Settings’ on the Home screen of your Android 4.4.x KitKat device. 2: At the ‘Settings’ screen, tap ‘Language & input’ under the PERSONAL to open up the ‘Language & input’ screen. 3: Here, ensure that ‘Google Keyboard’, under the KEYBOARD & INPUT METHOD is installed and checked. 4: Tap Google Keyboard ‘Settings’. 5: At the ‘Google Keyboard Settings’ account, see the status of the ‘Languages’ is English (US). Tap it to change. 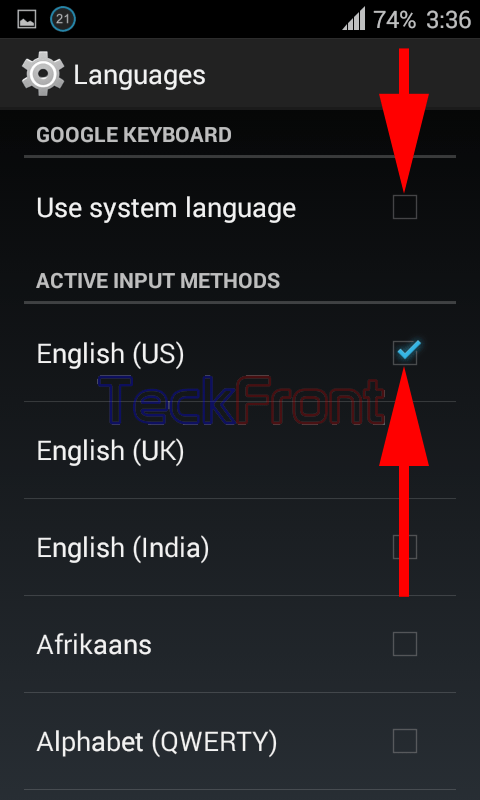 6: At the ‘Languages’ screen, see the English (US) under the ACTIVE INPUT METHODS is checked and activated as the Google Keyboard language while the ‘Use system language’ is not checked. 7: Tap the ‘Use system language’ to check. See immediately after checking the ‘Use system language’ under the GOOGLE KEYBOARD, the other languages under ACTIVE INPUT METHODS is disabled now. 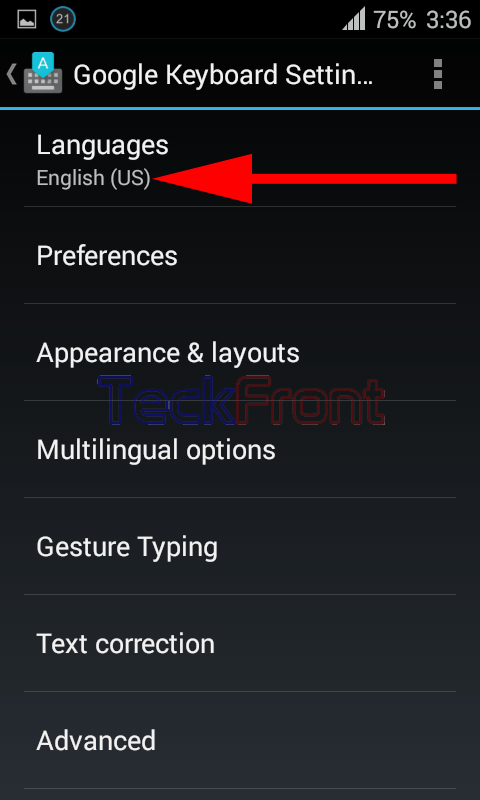 From now onward, your Android 4.4.x KitKat will use the system language as the default language for the Google Keyboard. Newer How to Examine Destination of Link on Browser at Android 4.4.x KitKat? Older How to Create Events on Facebook on Android 4.4.x KitKat Device?